Helping your Business or Brand for the Future – It is said that a picture can communicate a message whether simple or complex faster than what a written paragraph can do. It is an important tactic to capture the attention of the audience in the future. These days the Attention span of the Audience has started Decreasing - People do not want to invest too much time in reading a message, images is going to be the way of communicating in the future. Technology keeps changing, a professional graphic designer is aware of this and will keep improving the visuals and images of your business. Boosting your brand - Branding is what customers understand or perceive. There are a lot of elements towards brand building like the company name, logo, and the looks of your brand, customer service policies, company website, and marketing tactics, colors of your brand logo and the font style and size. Hiring a professional graphic designer is helpful because he will be able to utilize all these elements in a productive way. A brand that is strong will be remembered; a brand that is weak will be easily forgotten. You can save Time – People who need to run a business, do not have time to create their own Graphic Design. A good design is a combination of education, training and experience. A graphic designer has a lot of skills like adobe, flash, animations, video editing, etc, helping you to focus on your business. Consistency – A professional graphic designer will craft a design that will help your business to deliver a consistent message of your brand, inconsistency in your message will make you look unprofessional. 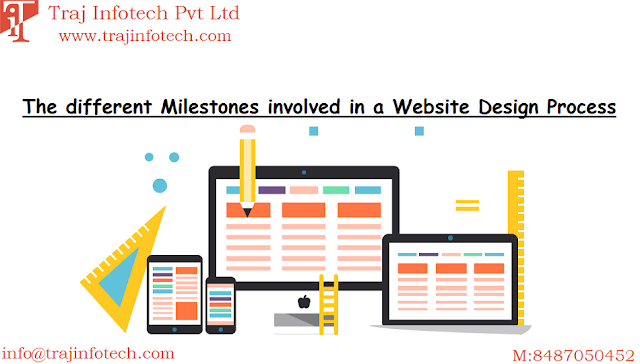 Expertise – In today’s business there are a lot of questions related to Graphic Designing, only a professional graphic designer can answer these questions because they have the education, training and experience. Improvement in Digital Marketing – A professional graphic plays an important role in the success of digital marketing. Creativity - A professional graphic designer has good creative skills and can solve a lot of creative issues related to your brand. Many companies do not understand the benefits of hiring a professional graphic designer. To reduce their cost some companies think using graphs, charts and stock images will work fine. This is not true; people don’t understand the importance of a graphic designer. A professional graphic designer creates images, motion graphics and typography to improve the artistic appeal of your brand or business. A Graphic Designer can make your brand look professional, stand out among your competitors and also attract attention of potential customers. Due to, increase in visual communication, Graphic Designing will become more vital for the success of your brand. 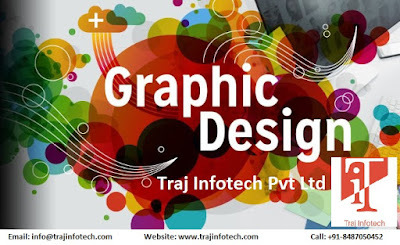 Traj Infotech provide Graphic Designing Services.